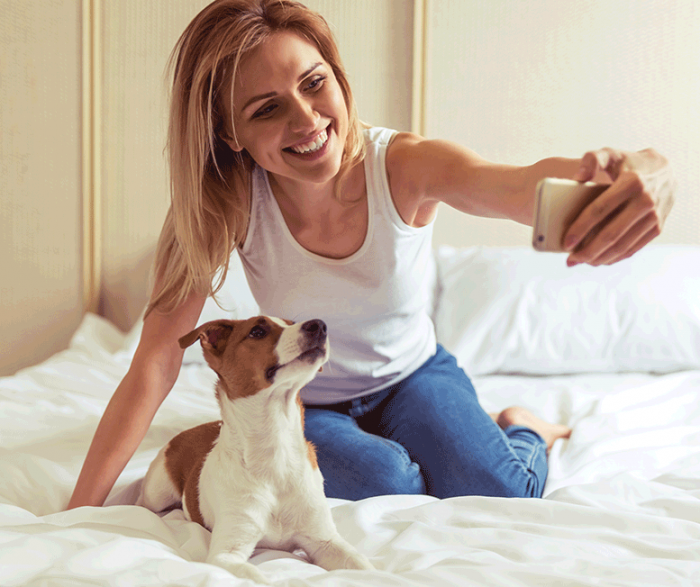 Does your dog dream of becoming an Instagram star? Or is your cat so cute you just have to capture her on camera? Read on for RSPCA NSW’s tips to make your photos pop… and we don’t mean through a filter! Animals can be tricky subjects to photograph. You can’t tell them where to stand, or what to look at. But by following our 10-step guide, you can make snapping shots of them a lot easier. 1. Animal welfare comes first, so make sure the animal is comfortable and relaxed. This might mean giving her some time to explore (and sniff!) the area where you’re taking the photo. If she becomes tense or uneasy, stop and give her a break. And always be careful not to manipulate or restrict her movements. 2. Try getting down to the animal’s level. This will help you take more natural shots. It may also help if you get closer to the animal. 3. Think about your background. A simple and clutter-free backdrop can work well. 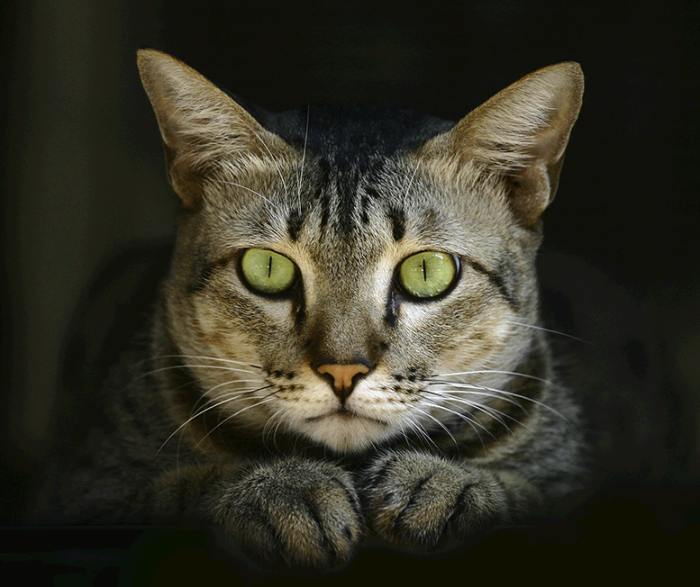 Try photographing her in front of a blank wall, or sitting her on a colourful blanket. 4. Photographing your pup and want to get the perfect pooch grin? 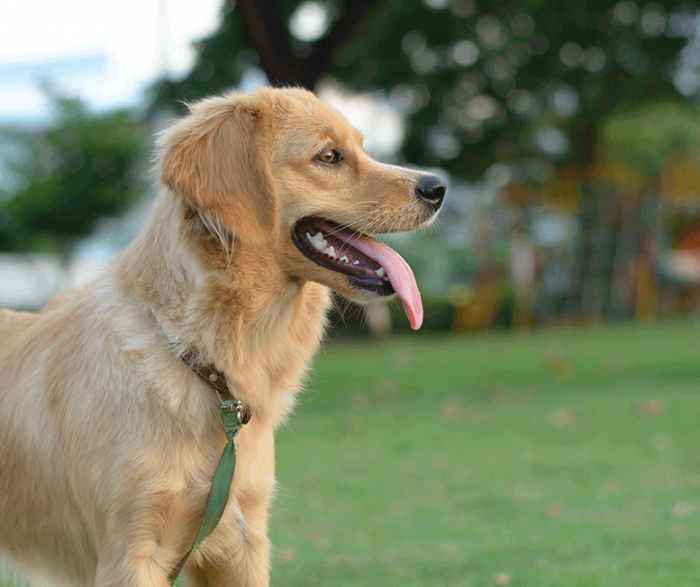 Take him for a quick sprint to get him panting, and he should reward you with a tongue-flopping smile. 5. Try taking photos that capture the animal’s character. Snapping him snoozing in his favourite spot or playing with his favourite toy can work well. 6. Think about whether the animal needs a landscape or portrait photo and hold your camera (or phone) accordingly. 7. Remember that when people see photos of animals (and people), their eyes will notice their eyes, then their face, then their body. So getting the animal to look down the camera lens can make for a great photo. Try rattling or squeaking a favourite toy in your hand to get her attention. Food works well too, or you can even try making your own animal noises! 8. Turn off the flash. It can frighten animals, result in red-eye and create harsh lighting. 9. If you’re using your phone to take an action shot, hold down the shutter to take a quick burst of multiple photos. This will give you more options to choose from. 10. Be patient and snap lots of photos. Remember that taking a great shot can take time. And don’t forget to give the animal a pat, toy or treat as a reward for his patience!